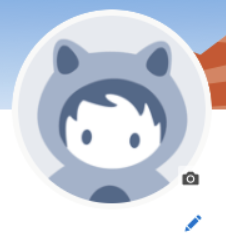 Most people haven’t put a ton of thought into Salesforce profile pictures. Salesforce Administrators are certainly not “most people” and they tend to put a little more thought into it… but even then, not all of them have spent much time thinking about them. For the most part, your users sometimes remember to upload a photo – sometimes it’s not even a picture of themselves – and then that’s the end of it. Maybe we’re a little weird here at Gears (OK, there isn’t much of a maybe), but our team has actually put a lot of thought into profile pictures (and images in general) and what can be done with them. Some of these ideas are fun, others are maybe a little goofy, but there are also some legitimate business needs or enhancements that can be addressed. We’ve even gone so far as to build a couple of free AppExchange apps that I’ll discuss below. You might not have begun your day thinking about pictures, but here are eight ideas around leveraging and managing your Chatter profile pictures. Bulk Loading Chatter Profile Pictures – Let’s start off with getting those profiles pictures loaded. Most implementations of Salesforce or a Salesforce Community involve sending your users their user name and passwords and telling them how to update their profile. With any luck, a good number of your users actually update their profile, and you’re not stuck with a Community or Salesforce instance loaded with a bunch of Astro photos. What if you could do this in advance for them? A lot of companies on Google or Active Directory already have a photo directory of their users. Some companies even require compliance with their corporate directory to ensure the images are the same. If you’re not in those situations, or if you have a Community, maybe you just want to change the default user photo to something different than Astro. Maybe some branding for your company, or a rotation of images to make the Community a little more exciting. Whatever the case, we have the solution for you: PhotoLoader. PhotoLoader is a free AppExchange app that does exactly what the name says – it lets you load photos in bulk to your Salesforce or Community user profiles. It’s super simple and we support three different ways to load the photos – loading the file directly to the user records, referencing a file within Salesforce already, or using an external URL as a reference to the photo. If you’re rolling out a new Salesforce instance, a new Community, or just trying to do some clean-up of your existing instance, this is the app for you. Super simple and free. Defaulting the Profile Picture – Alright, you’re already live and you have all of your user photos loaded. A week later you create your first new user since go-live and what does their profile picture appear as? That’s right. Astro again. Not that there’s anything wrong with Astro, but maybe you’d rather your default photo be something that represents your brand, or your community, or just something a little fun? Or maybe you’d like a rotation of default images to add a little variety to your Community or Salesforce instance. Well, fear not. We have an app for that, too – the aptly named PhotoDefaulter (Gears can not be accused of coming up with fancy names for our apps). PhotoDefaulter is another free AppExchange app, and it allows you to designate a single default image as a replacement for Astro or even use a rotation of images, so that when a new user or Community user is created, their photo will be defaulted for them based on your setup. Even better, if you’re already loaded with a bunch of Astro pictures, you can use PhotoDefaulter to retroactively swap out Astro with your new default image(s). One other feature is that the photo rotation is based on the user type. So if you want different defaults for your Community than for your internal Salesforce, that won’t be an issue. Terrific way to add a little fun or branding to your instance or Community. Isn’t this better than Astro? Inactive Users – Sometimes it’s a little awkward to still have the photos of past users that are no longer active. It’s like the ghosts of employees past. Some of them you still wish were with you and when you see their pictures you sigh and smile, but others…well, others you might want to remove their photos. With a super simple trigger or Process Builder combined with our PhotoDefaulter app, automatically flip an inactive user’s photo to your default (or any default in your rotation rotation) or to an image designated specifically for inactive users. Clean up your ghosts. GDPR Compliance – Believe it or not, GDPR applies to your profile photos too if you have a Community (not so much for your internal Salesforce). If a Community user requests to be forgotten and have all of their information removed, that includes their profile photo. This is similar to the Inactive Users process above. You’ll want a trigger or Process Builder looking at where you track your GDPR requests (whether you use the Individual object or something custom) and when you process a request to be forgotten, have it fire to automatically swap their profile picture with your default image. Branding / Badging / Recognition – It’s also possible to manipulate the profile photos by adding something to them. 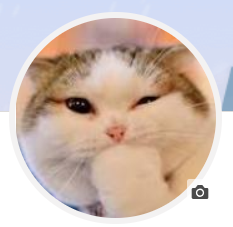 One option is doing some branding on your user’s profile pictures. I see this being more for Communities, but imagine adding a small logo of the user’s company onto their photo? It’s a nice way to personalize the Community even more with some user based co-branding. On the badging side, Communities already have badges you can assign to users, but as your users reach different tiers of activity, you could add a banner to their profile image that shows their level or expertise. It lets your users be quickly identified as experts and is another way to badge and make your top users stand out. If you only have a few brands / badges that you want to apply to the photo, you could do this with a trigger / batch job using apex. If you have a lot of tiers, brands or rules around how you want to manipulate your profile pictures, you could still customize it, but using something like a rules engine to drive this would be more efficient. We have our own rules engine on the AppExchange called BREeze, and you could use this to build out all of the rules and image manipulations in one easy to manage place. Image Manipulation / Validation – This is actually a request we get quite often – basically, the need to standardize the profile pictures in a certain way. Maybe it’s ensuring that the photo is always a head shot, or cropping it so that they are all the same size, or simply just validating that the image is of a certain quality, there is lots of manipulation and validation you can do to the profile pictures. This would require development, but it’s definitely possible to do. It certainly makes reports, dashboards and the feeds look cleaner when there is a consistency to the images. Out of Office – Similar to the above, what about adding a banner across the profile picture of someone who is currently out of office? Make it easy to realize when they are out and maybe even include the date they’ll be returning. You’ll need a trigger for this, but it would be pretty straightforward to do. Facial Recognition – This is where things get sophisticated, but we’ve had a few requests for this type of functionality. There’s no reason you can’t push your profile pictures against some of the more advanced facial recognition programs out there. One use case is to try and make sure people are using real photos of themselves and not pictures of animals (like our cat photo defaulter) or even celebrities. Obviously, this won’t be perfect, but it would catch most of these, especially since your users won’t realize you have this level of sophistication trying to stop them. Another use case is if you have a public facing community, especially for certain age groups, maybe you want to look for photos that might be offensive and automatically flag them for review or set them to a default until they can be reviewed. Lots of potential use cases here, but you’re definitely talking custom build to do this. I’m sure there are even more exciting, fun and business needs around your Salesforce profile pictures. If you have any cool use cases, feel free to comment below or shoot them over from our Contact Us. By the way, we’re focused on profile pictures for this post, but there’s also no reason you couldn’t do this to any photos being upload to Salesforce. Finally, if any of this inspires you, feel free to grab our free apps or reach out for help with any customization around them. We’d be happy to help.